Should the Toronto Children's Aid Society Investigate Rob Ford? 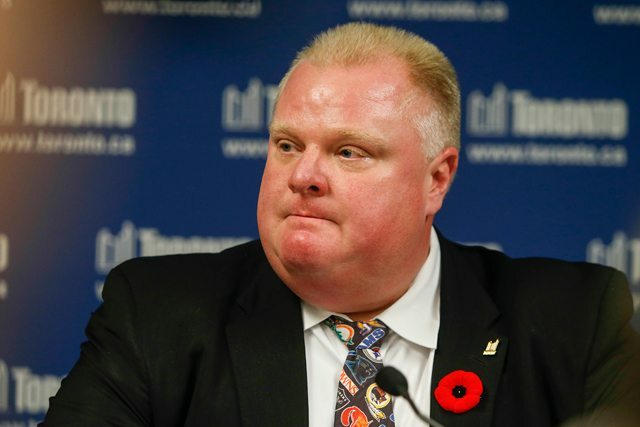 Should the Toronto Children’s Aid Society Investigate Rob Ford? The mayor has admitted to drug use, and there's evidence of other troubling behaviour like driving drunk. Is this a case for Children's Aid? And there’s another question some people are asking: Why hasn’t the Toronto Children’s Aid Society taken Rob Ford’s children? According to the Child and Family Services Act, a child-protection worker can apprehend a child with a warrant if they have reasonable and probable grounds to believe that there is no other course of action available that can protect the child. They can apprehend a child even without a warrant if they believe that there would be a substantial risk to the child’s health or safety while the warrant was being obtained. In circumstances similar to Rob Ford’s, a CAS will often take a very active role, up to and including seizing the children. CASes work under tight budgetary constrictions. In Ontario, they are not actually governmental bodies but non-profit agencies with quasi-governmental powers, funded by a combination of donations and provincial money (the latter is based in part on the number of open files being handled). CASes obviously prefer to avoid intense legal battles—which exacerbate tensions, prolong decisions, and put a greater strain on the agencies themselves—and will typically try to work with families to create a strategy to gradually return a child to his or her home if it is reasonable to do so. However, being under investigation by the CAS can create problems for a family in and of itself, in terms of the associated emotional distress and social stigma. (Although CAS investigations are confidential, the simple truth is that what typically initiates a CAS investigation is a concerned party reporting a family to the CAS—and that party is under no obligation to stay quiet.) That’s why, if a family has the means, it will often hire a lawyer to represent the parents in their proceeding with the CAS. This usually results in a proceeding that is more expensive for the agency and has less successful outcomes from the agency’s point of view. Although there is certainly no official policy preventing a CAS worker from commencing a proceeding against a wealthy family if they believe a child is at serious risk—and no CAS worker worthy of the title would let anything stop them from apprehending a child they believed to be in imminent danger—the simple truth is that in cases where the status of the child is in question, and where the family is more able to make the CAS’s case difficult, child-protection workers are less inclined to open an investigation, much less apprehend involved children. When the wealthy family is also the family of a mayor—and a mayor who has demonstrated a tendency to verbally attack anybody he feels is persecuting him—it is possible that TCAS, if it does think Rob Ford’s children might be at some risk by remaining in the home (and this is, still, an assumption), might choose to proceed very cautiously. This is not because it would be intimidated by Ford’s penchant for shooting his mouth off—again, if it felt the situation was dire, it would intervene no matter what—but because it might be concerned that if it initiated an investigation, Ford would make the matter public, and therefore subject his children to public scrutiny that the CAS would prefer they be spared. Christopher Bird is a family law lawyer and associate at the Gene C. Colman Family Law Centre.